UK-listed snack outfit Greencore is gobbling up U.S. peer Peacock Foods for $748 mln. The scope for economic returns and greater scale explains why. In a Trump world, reducing tax bills and preserving transatlantic divides – even in sandwich scoffing – will remain much in vogue. 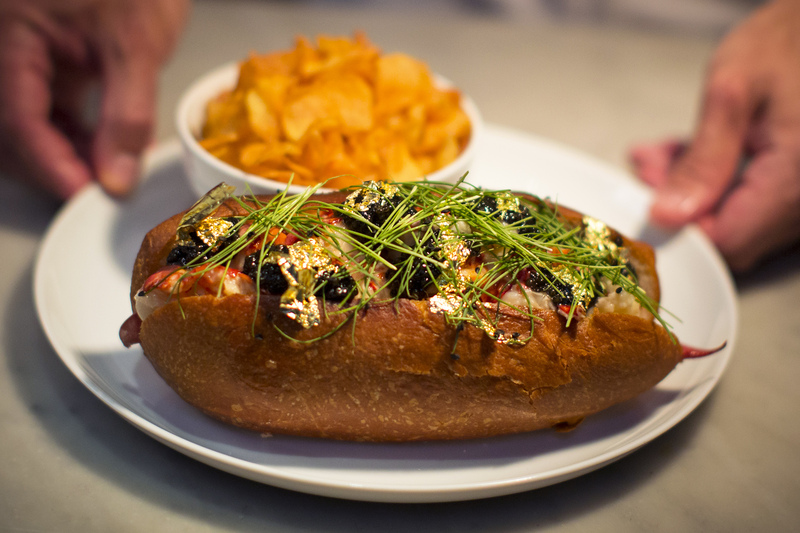 Chef Luke Venner presents a gold and caviar-enriched lobster roll that sells for $160 at "BLT Fish" restaurant in New York, June 4, 2014. Greencore Group said on Nov. 14 it would acquire Peacock Foods for $747.5 million (594.3 million pounds). Dublin-headquartered Greencore said it would fund the all-cash deal through a 439.4 million-pound fully underwritten rights issue and 200 million pounds of new debt facilities. It said it would target a return exceeding the cost of capital in 2018, helped by annual cost synergies estimated at $15 million by 2019. Greencore, which is UK-listed, saw its shares rise 9.5 percent to 328.6 pence on Nov. 14.